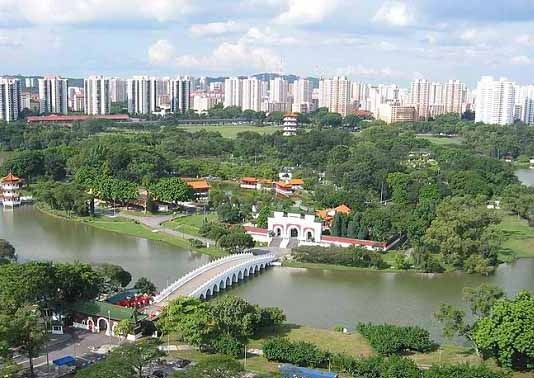 Jurong Lake District is a 360ha district located in the West. It has become a major commercial node outside the central business district.In the early 1960s, Jurong Lake area was made into an industrial town. Jurong was part of the plan for Singapore’s early industrialization. Since then, Jurong Lake has become modernized and commercialized. It now poses to be full of potential in becoming a test bed for major projects and technologies. Interest in the area is apparent with the latest developments made for the Smart Nation vision. The Jurong Lake area has been selected as In this area to carry out 15 trials, managed by the Infocomm Development Authority under the Smart Nation initiative. The Urban Redevelopment Authority (URA) announced that Jurong was named a Smarter Cities Challenge Grant Recipient for 2015 by IBM. The Housing and Development Board (HDB) created a plan “Remaking Our Heartland” which aims to improve connectivity, homes, and recreation. Other agencies such as BCA, JTC, NEA, NLB, NParks and SLA are involved in various aspects of the IDA Smart Nation initiative. A seamless connectivity solution from M1 which allows data to be transmitted to, and collected from, vehicles. The technology could enhance monitoring and routing of vehicles through near real-time upload and download of data such as road or weather conditions. A smart queue monitoring system from RFNet, Panasonic and Elixir Technology. It uses video sensing to determine the length and flow of queues to give consumers an idea of wait times and help companies deploy more resources to ease queues. A driverless buggy that is being trialed by the National University of Singapore and Singapore-MIT Alliance for Research and Technology (SMART) to ferry passengers in parks and gardens in JLD. Smart park lighting by Green Koncepts and ST Electronics (Info-Comm Systems), which adjusts lighting in response to time of the day and motion detection. It will also automatically detect faulty lighting. An automated system to determine the cleanliness of public areas. The pilot by Temasek Polytechnic and ZWEEC Analytics makes use of advanced video sensing and smart bin technologies. A platform that leverages smart phones as sensors. Under the pilot by ST Dynamics, smart phone owners volunteer data on bumpiness and the timing of bus rides to enable better planning of routes and thus improve the transport experience. A system by Quantum Inventions that mitigates issues related to global positioning system (GPS) navigation in urban canyons, enabling drivers and pedestrians to navigate more accurately around the densely built-up areas of Singapore. The pooling of smart infrastructure technology across government agencies allows for better efficiency and cost savings. Residents are looking forward to seeing the trials unfold before them. It is expected that lives will be improved, made easier, and more enjoyable while seeing the abilities of a technology driven world.